Djenab’s compelling essay made an impact on the judges. As a child of immigrant parents and a mixed family, Djenab was born in Beijing, China and grew up in China, Guinea, Mali, Côte d’Ivoire, and France before moving with her family to settle down in Ohio. Coming from such a unique background lead to Djenab’s interest in advocating for women and giving them the power to express themselves. She deferred law school after receiving Yale’s Parker Huang Fellowship to work with GlobalGirl Media by teaching new media literacy skills and videojournalism to girls and women in Morocco. After coming back to the States, Djenab chose UC Berkeley School of Law and continued her involvement in giving a voice to the masses by serving as the first Black female Editor-in-Chief of the not-for-profit California Law Review. Though Djenab’s experience in policy and communication is stellar, that isn’t the only thing she’d like to focus on in her career. 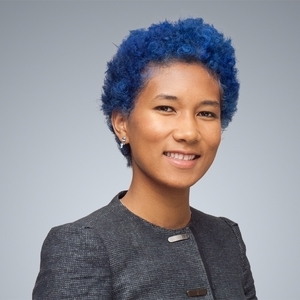 She has a strong interest in entertainment and coming from the perspective of a Black and Chinese woman has helped Djenab see a need for figuring out how private sector innovations can work in sync to advance social justice interests at home and abroad. The $3,000 scholarship will help support Djenab through graduation and bar study prep before she starts her new career working first for the Honorable Victor Bolden of the District of Connecticut, and in the following year for the Honorable Paul J. Watford of the Ninth Circuit Court of Appeals. We applaud Djenab on her accomplishments and look forward to seeing what she is capable of after her 2019 graduation. Full details on this year’s winner are available in the official press release. We’d also like to announce that in 2019, the Reeves Law Group is raising the scholarship to $5,000! Think you have what it takes to win the $5,000 scholarship for 2019? Review the guidelines and learn about past winners on our scholarship page. We look forward to reading your essay!